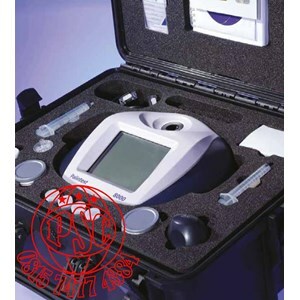 Designed for the laboratory, the Photometer 8000 is a sophisticated, yet easy-to-use, multiparameter photometer. The 8000 has multiple options for customisation including storing tests by user-name, ensuring minimal operator setup and leading to efficient analysis times. The entry-level multiparameter photometer in the range, the 7100 is simple-to-use, robust in construction and designed for on-site analysis. The 7100 provides dependable results to enable decisions on water quality to be made instantly and with confidence. Rapid access to frequently used tests from a choice of over 100 parameters/methods. 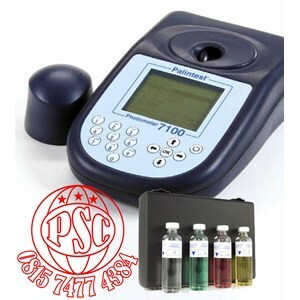 Palintest Check Standards are traceable reference materials defined in terms of % Transmittance ( %T ) at a particular wavelength, and are ideal in confirming a Palintest Photometer is conforming to specification. 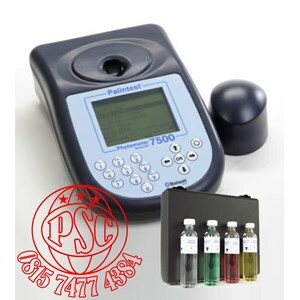 The multiparameter 7500 is our most popular photometer due its versatility and simplicity of use. Reliable and intuitive Palintest methods combine with data management via the Palintest Aqua Pal app or web portal. Develop your own tests - load them via the USB port into your photometer with a simple software tool.